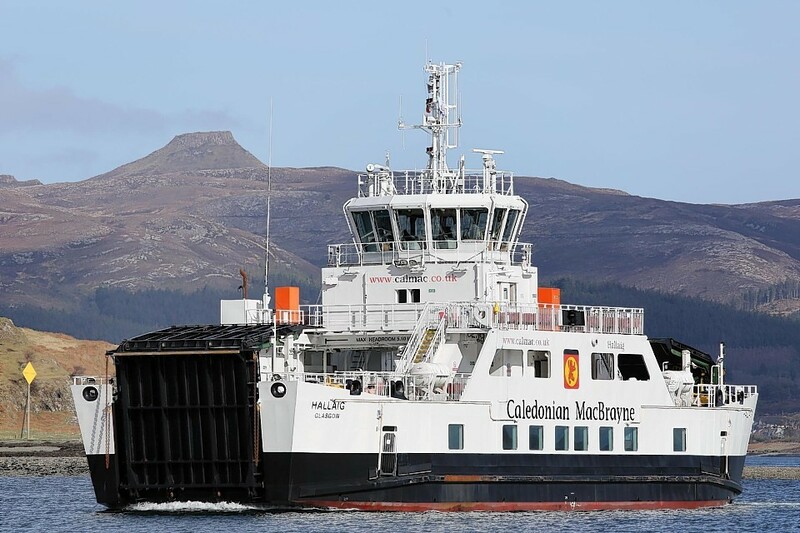 Contact has been place for third hybrid ferry similar to HV Hallaig operating on the Sconser-Raasay route . A lifeline has been thrown to a ship builders threatened with closure with a contract for a new CalMac ferry. The Scottish Government announced that a new hybrid ferry is to be constructed at the Ferguson yard on the River Clyde. The £12.3million contract is the first offered the yard since it was rescued by millionaire Jim McColl after it went into administration earlier this year. The vessel, due to enter service in the autumn of 2016, will be the third hybrid ferry build by Ferguson’s for CalMac. It will use a low carbon hybrid system, that combines traditional diesel and electric battery power, reducing fuel consumption and emissions. It will accommodate 150 passengers, 23 cars or two HGVs. The vessel will replace one of the existing ferries operated by CalMac. No decision has been made on what route it will operate on. The project, which is being taken forward by Caledonian Maritime Assets Limited (CMAL), will secure jobs for around 80 people in the Port Glasgow and Inverclyde area, many of whom were employees of the previous owner and worked on the first two hybrid ferries, MV Hallaig and MV Lochinvar. Deputy First Minister Nicola Sturgeon said: “This announcement is a real vote of confidence in shipbuilding on the Clyde and a significant step forward for Ferguson Marine Engineering Limited. Mr McColl, chairman and chief executive of the shipyards new owners, Clyde Blowers Capital, said: “This is the first major order for Ferguson Marine Engineering and is fantastic news for the business, its workforce and for Port Glasgow. It is the third vessel to be built in a four vessel programme.